Highland tenants claiming Universal Credit are being urged to log on and update their UC claim this April 1st to ensure their entitlement covers their annual rent increase for the year ahead. Highland Housing Alliance has announced that onsite building works are under way at Glenfield in Ullapool, which will see 49 homes becoming available in winter 2019. The Highland Council and Highland Housing Alliance are another step closer towards the construction of Wyvern House on Academy Street, Inverness as the demolition of the existing building nears completion. The average weekly rent charged by The Highland Council to its 13,411 council house tenants is set to increase by 3% for the coming financial year 2019/20. Big-hearted members of staff at the Tesco store in Dingwall have generously donated gifts to ensure that every child in Ross-shire waking up in homeless accommodation on Christmas morning will have a special parcel to open. A Highland Council employee, nominated by the tenants she works with, has scooped a national award. Highland Council’s work to continuously improve Tenant Participation in the region has been recognised by the Scottish Housing Regulator and the Tenant Participation Advisory Service. Members of The Highland Council’s Care, Learning and Housing Committee have approved the first draft ‘Highland Rapid Rehousing Transition Plan’ for 2019 – 2024. The former CAB office at 103 Academy Street in Inverness has been converted into four 1 bedroom flats for rent from The Highland Council. 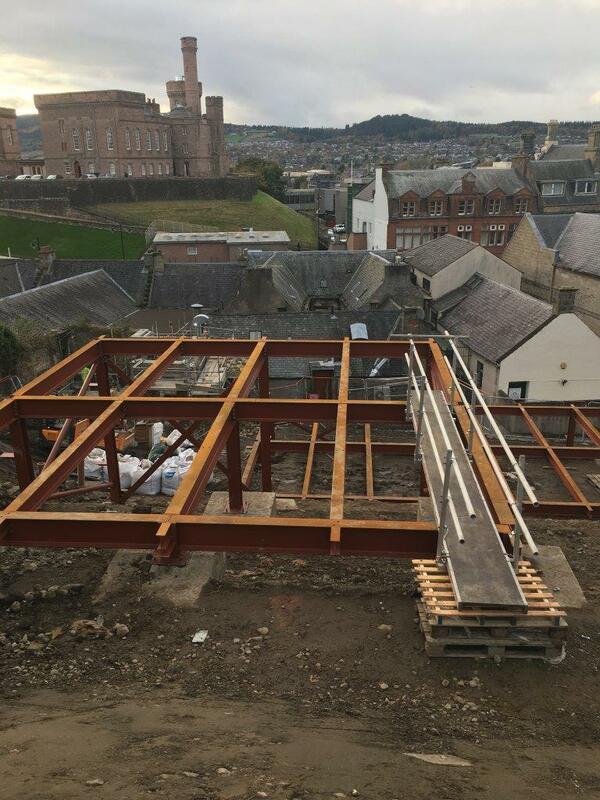 Work on a landmark development to reinvigorate the heart of Inverness, creating new homes and new business opportunities has begun. The Highland Council is to invest over £8 million into carrying out improvements to its housing stock in the Inverness Area. The Highland Council is to invest over £4.2 million into carrying out improvements to its housing stock in Caithness. Members of the Ross and Cromarty Committee have agreed a two year Housing Revenue Account Capital Programme that will see over £6m invested into improving council homes in Ross-shire over the next 2 years. In addition, a further £520,000 will be spent specifically on providing aids and adaptations to assist tenants requiring extra support. The Highland Council has taken delivery of 10 new houses in Grantown on Spey and yesterday (Monday 24 September) local Councillors Bill Lobban and Muriel Cockburn paid a visit to welcome Lorna Cottam and her two children to their new home. The Highland Council has a commitment to deliver 2500 new affordable homes over a 5 year period. The Council and its partners have been carrying out a review of potential development sites. The Highland Housing Alliance has announced that Kevin Stewart the Minister for Housing completed a tour on 20th August 2018, of new City Region Deal developments in the Highland Region, including Raining's Close in Inverness. 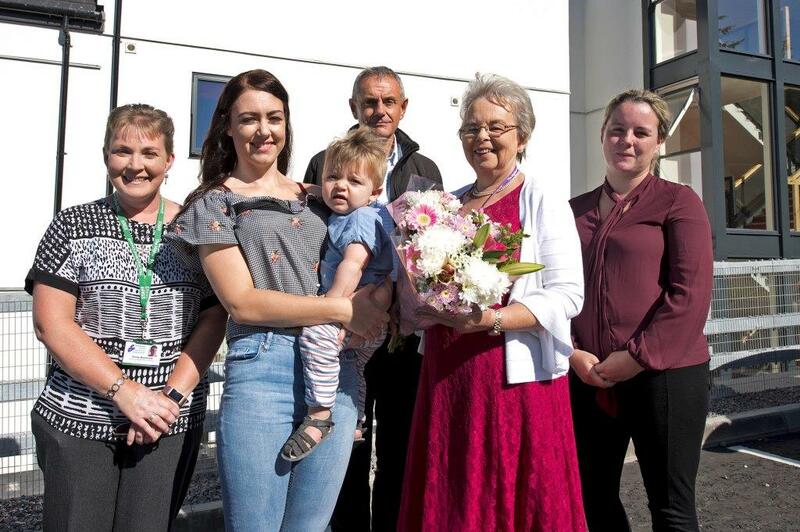 Councillor Trish Robertson, along with staff from Highland Council’s Inverness housing management and development teams paid a house warming visit yesterday (Monday 6 August) to wish tenant Kyrena MacKay all the best in her new home at Kirk Brae in Inverness. The public are being invited to come along to find out more about the proposed redevelopment of two key buildings on Dingwall High Street. The Highland Council remains on track to deliver much-needed affordable homes across the Highlands as recent figures produced show all new home completions in Highland are on the up. Six houses suitable for wheelchair users have been completed in Inverness and earlier today local Councillors paid a visit to welcome tenants into their new homes. The Highland Council has agreed to use City-Region Deal funding to part fund new mid-market housing projects throughout the Highlands. 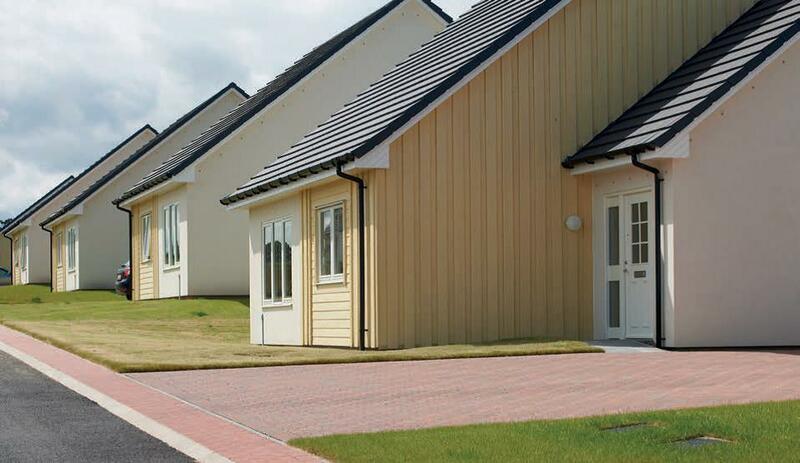 Nineteen new council houses in Invergordon are the latest new homes to be completed by The Highland Council. Members of The Highland Council’s People Committee have approved the Council’s Local Housing Strategy for 2017 – 2022. The Highland Council’s Housing Team are contacting council tenants as part of a large scale consultation exercise on proposed changes to rent for 2018/19. 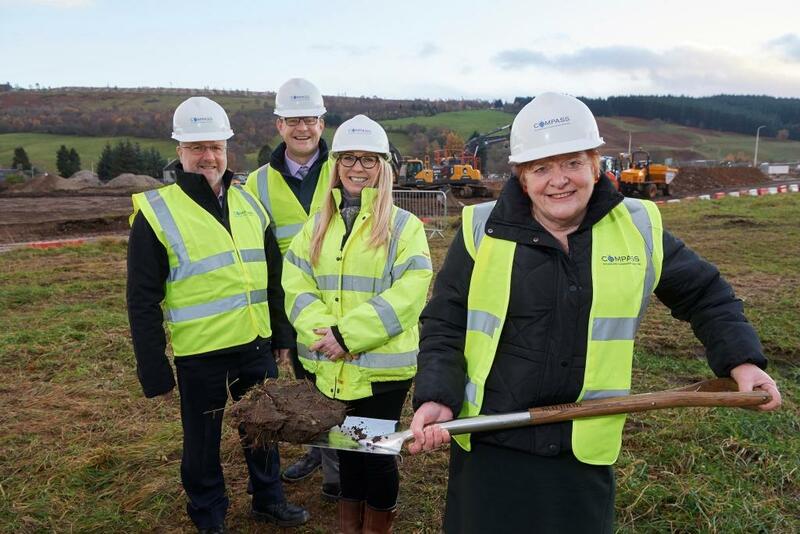 Work has commenced on the construction of five new affordable homes at Drumnadrochit which will be earmarked to help retain local young people in the community. Council Housing Officers will be asked to explore and examine the feasibility of applying for Rent Pressure Zones. 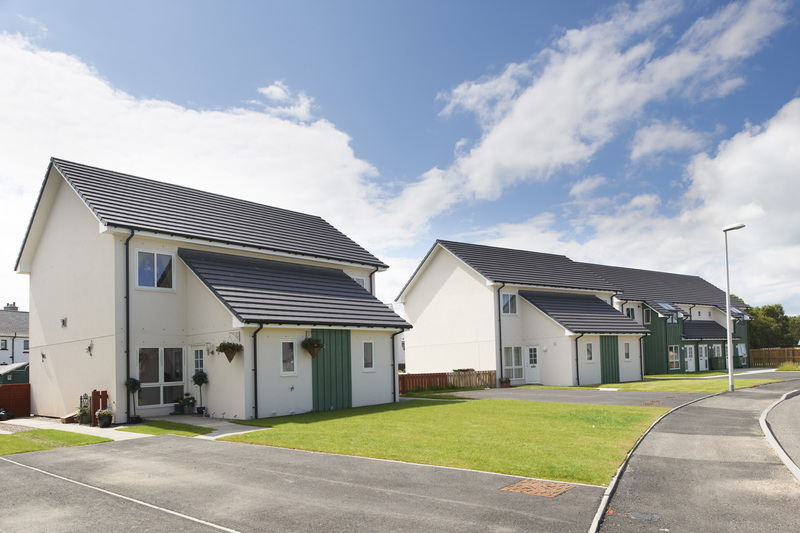 Members of the Highland Council’s Places Committee have approved the use of Landbank funding to assist in the development of affordable housing in Highland. 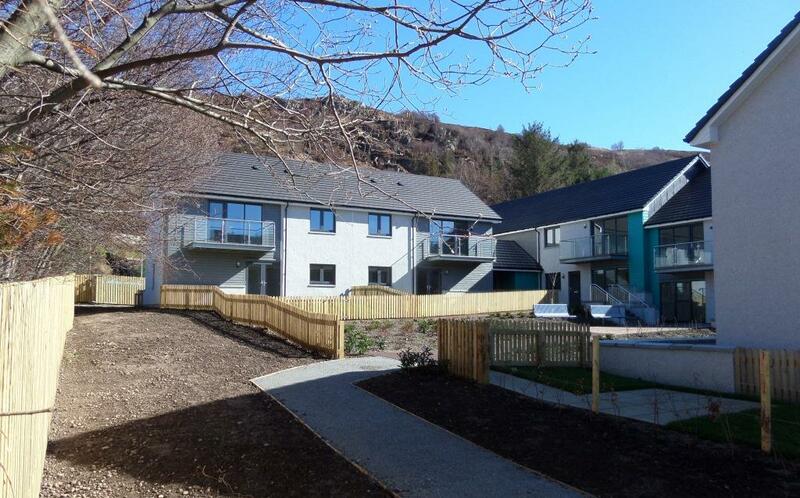 Highland Council is pleased to announce that new tenants have moved in to their new homes at Tweeddale Apartments in Fort William. The Highland Council is looking for your views on our draft Local Housing Strategy. From today (22/02/2017) customers will be able to contact the Service Centre on the payments line 01349 886605 to make a rent payment and get a rent balance. As a result of changes to legislation, today (Monday 1 August), the “Right to Buy” has ended for all tenants, a move which has been welcomed by the Chair of Highland Council’s Community Services. 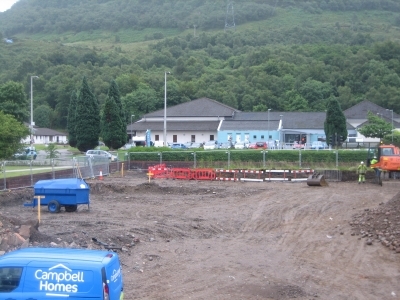 Work has begun to transform the site of a former medical centre in Fort William into accommodation for rent. 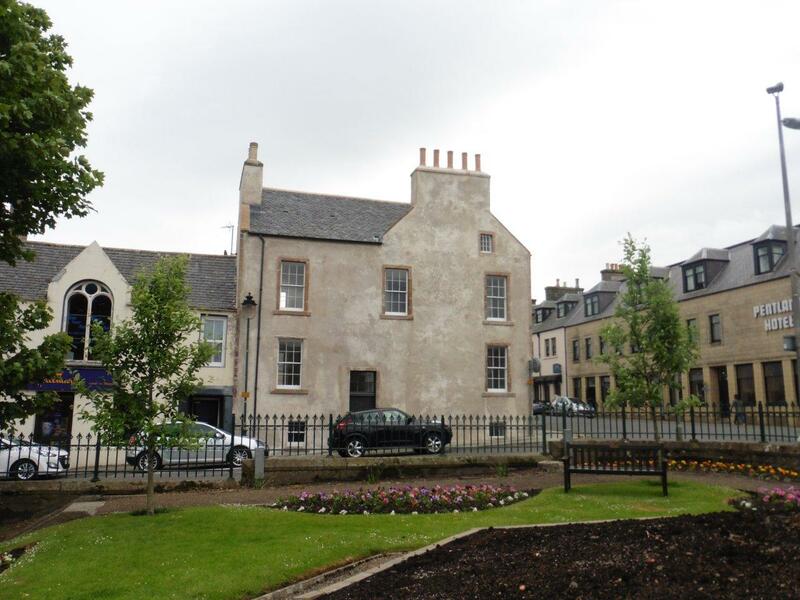 The Highland Council is to throw open the doors of 30 Princes Street in Thurso on Saturday 16th July to give members of the public, councillors and community councillors the chance to see how it has restored and brought back into use this iconic Category B listed building which sits a prime position within the conservation area of the town. Anyone who wants to rent a council or housing association house in Thurso now has greater choice. Members of the Community Services Committee have warmly welcomed the initiatives being undertaken to prevent homelessness and improve the lives of homeless people in Highland. Join your Council’s fight against fraud. Report it! The “report it” campaign is a new initiative by the Highland Council’s Corporate Fraud Team which is asking residents to help them tackle fraud. Council house rents will be limited to a 1.9% rise in order to maintain current service levels. This will mean an increase in the average weekly council rent of £1.35 for all Housing Revenue Account (HRA) rents. The first meeting of the Lochaber District Partnership to be held in 2016 is on Tuesday 2 February at 1.15pm in The Highland Council’s Chambers, Lochaber House, Fort William. An independent survey by market research company Progressive Partnerships is being carried out on behalf of The Highland Council’s Housing Service. The successful and innovative model for tackling antisocial behaviour used by the Inverness Response Team, is to be rolled out to other areas across the Highlands. 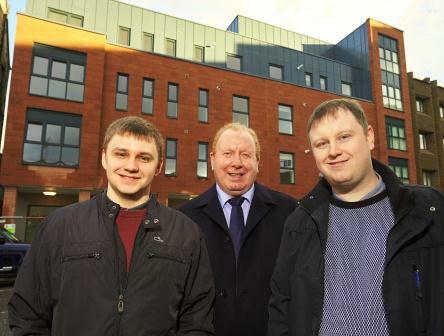 The Highland Housing Alliance has completed and handed over the keys (today 10 December 2015) to the tenants of the new Academy Street flats. The Academy Street development comprises 31, 1 and 2 bedroom flats, bringing more affordable accommodation to people and families in the City of Inverness. Issued by MuckleMedia Highland Councillors paid a visit today to Alness to watch the final block of apartments being stalled in a pioneering social housing project. The Highland Council is appealing to private landlords or people who own vacant houses who may be able to offer a house for rent to a Syrian Refugee family. People living in Easter Ross are being invited to have their say by taking part in a survey about their local services which has been developed by the Easter Ross District Partnership. 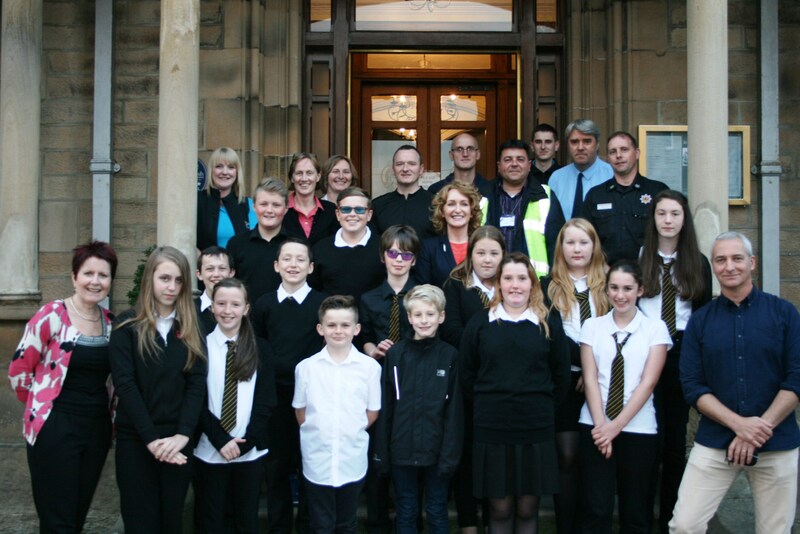 On Thursday (17 September) fifteen S1 pupils from Tain Royal Academy will be the first young people in Ross-shire to sign up to become Junior Wardens as part of a joint project between the school, The Highland Council and High Life Highland. Yesterday (10 June) The Highland Council held a facebook chat giving lots of information and advice on what people can do to ensure they are receiving the correct benefits and tax credits, as well as giving handy tips on how to manage budgets and avoid getting into debt. Highland Council are working with the DWP to assist vulnerable people who need additional support. Friday 15 May saw Ullapool Sandra Skipper welcomed into her new home at Lochside Court by Highland Councillors Isabelle Campbell and Graham MacKenzie. Highland Council is to hold a meeting for residents of the village of Caol to discuss options for the provision of low cost, sustainable, environmentally-friendly heating in the area. A free information day aimed at people over 55 years of age will take place in Dingwall Academy on Thursday 16 April from 10:30am to 2:30pm. Twenty new council homes in Aviemore are the latest to be completed by The Highland Council as part of the Administration’s target to build 888 new homes by 2017, supported by the Scottish Government. The increase in the average weekly rent charged by The Highland Council to its council house tenants is being contained to just 1%. Tomorrow (4 February) the four housing partners of the Highland Housing Register in Caithness will be hosting special sessions in Wick and Thurso to let people know about an exciting new way of allocating some of its properties, giving applicants much more choice about the housing they will be offered. Six new Council homes in Lochcarron are the latest to be completed by The Highland Council as part of a 688-house Highland-wide project supported by the Scottish Government. Chair of The Highland Council’s Community Services, Councillor Graham MacKenzie and local councillors, Jean Slater, Norrie Donald and Fraser Parr have welcomed tenant Jen Scrimgeour to her new home at Kintail Terrace in Inverness to mark the completion of 11 new units. Highland Council and neighbouring Moray Council are to join forces to launch a new website to help local residents find suitable properties in the private rented sector. The Planning, Development and Infrastructure Committee members have agreed an amended programme of new build housing in the Highlands. The capital of the Highlands has seen strong population growth in the last decade according to early results from the 2011 Census which is linked to buoyant economic growth and house building. Police across the Highlands and Islands carried out an operation focusing on reducing noise related anti-social behaviour and conduct at identified residential addresses.